Winter has well and truly arrived in some parts of Europe, but not in ways you might imagine. In Albania, heavy rainfall and flooding have resulted in tragedy. At least one person has died, roads and ports have been closed and thousands left without power. 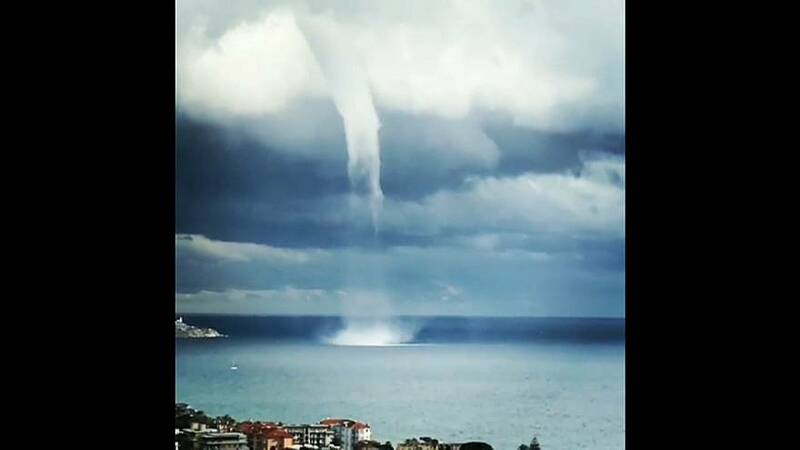 While in Italy, two people were lightly injured and buildings and vehicles damaged as a so-called waterspout ripped through the north-western Italian city of Sanremo, on the Mediterranean coast. Just a few dozen kilometres away, unexpected heavy snowfall in Savona caused disruption on the roads. France also witnessed a rare winter weather event. The southern town of Brignoles saw almost 20 centimetres of snow – an amount not seen in 15 years.